A quick and easy family favourite. Combine flour, salt and pepper on a large plate. Place eggs into a shallow bowl and beat with a fork until combined. Coat a piece of veal in flour, then egg (drain away any excess egg coating) and lastly in breadcrumb mixture, pressing with fingertips to adhere coating. Place on one of the prepared trays. Repeat with remaining veal. Cover with plastic wrap and refrigerate 10 minutes. Meanwhile, preheat oven to 120ºC. Pour enough auzure Canola Oil into a large frying pan to fill to about 5mm depth. Heat over a medium-high heat. 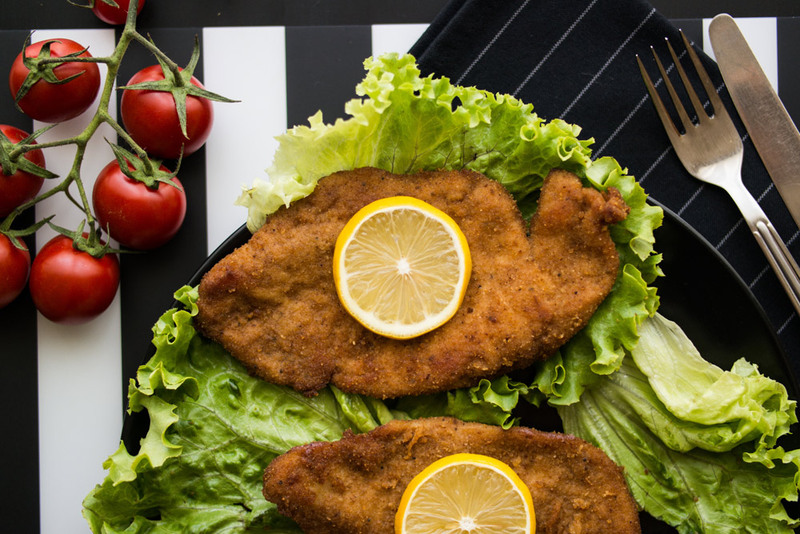 When the auzure Canola Oil is hot, fry the schnitzel in batches for about 2 minutes each side or until golden brown.